The Audi Q7’s smaller sibling has been unveiled by Audi, and the production version of the Audi Q5 has lost the very coupe-like rear end of the Audi Cross Coupe and Audi Cross Cabriolet concepts, carrying a more conventional SUV shape now. The new Audi Q5 measures 4630mm long, 1880mm wide, and 1650mm high, compared to the Volkswagen Tiguan’s 4427mm length, 1809mm width and 1686mm width. 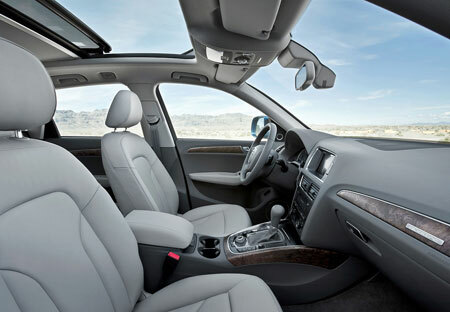 The Tiguan’s wheelbase is 2604mm, while the Q5’s is much longer at 2810mm. 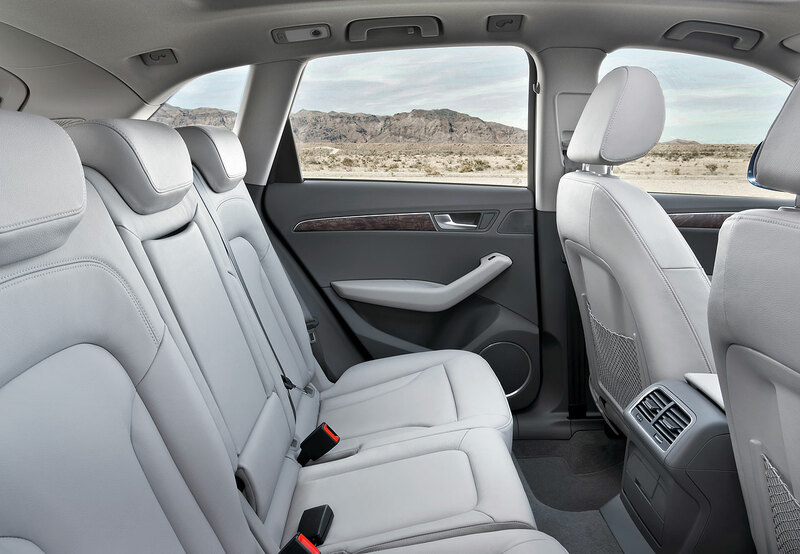 It is based on the B8 MLP platform with a longitudinal engine layout rather than the Tiguan’s Golf Plus-based platform with a transverse engine layout. Two exterior looks are available – a rugged off-roading look and another more sporty look thanks to the S-line kit. Three different paintjobs are available for the trim elements on the exterior – the standard one is apparently just black all over, but a contrasting two-tone paintjob is also available, or a full body-coloured paint finish. Three engine variants are available at launch time, with more to be added later. In line with the Volkswagen Group’s downsizing engine roadmap, all three engines are turbocharged, with two turbodiesel variants and one petrol variant. The venerable 2.0 litre TFSI model comes with Audi’s valvelift system with two different valve lift profiles on the intake. Peak torque of 350Nm is available from 1,500rpm up to 4,200rpm, and puts out a total of 211 PS, taking the Q5 2.0 TFSI from 0 to 100km/h in 7.2 seconds. The two turbodiesel variants are the 2.0 litre TDI and the 3.0 litre TDI engines. Like its petrol sibling, the 2.0 litre unit also puts out 350Nm of torque, from 1,750rpm to 2,500rpm. 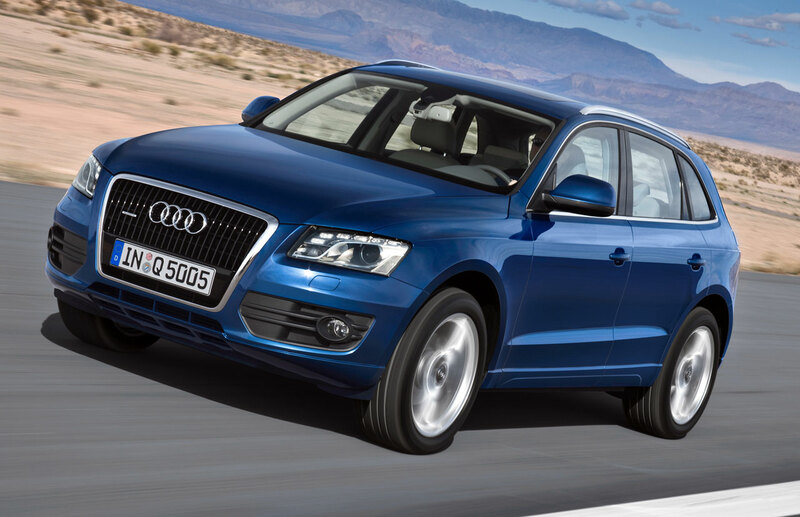 Peak power is rated at 170 PS, and the Q5 2.0 TDI goes from 0 to 100km/h in 9.5 seconds. This engine is mated to a 6-speed manual, and the instrumentation cluster displays ideal shift times to help the driver get the most mileage out of his Q5 2.0 TDI. 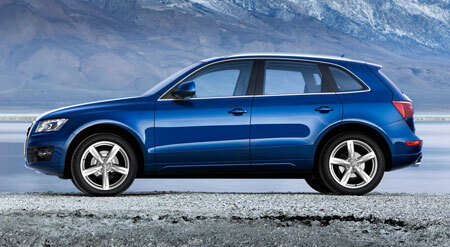 The most powerful engine is the 3.0 TDI, delivering 240 PS and 500Nm of torque between 1,500rpm and 3,000rpm. 0 to 100km/h with the 3.0 TDI model takes 6.5 seconds, yet fuel economy is better than the 2.0 TFSI model at 36.6mpg on a combined cycle compared to 33.2mpg on a combined cycle. 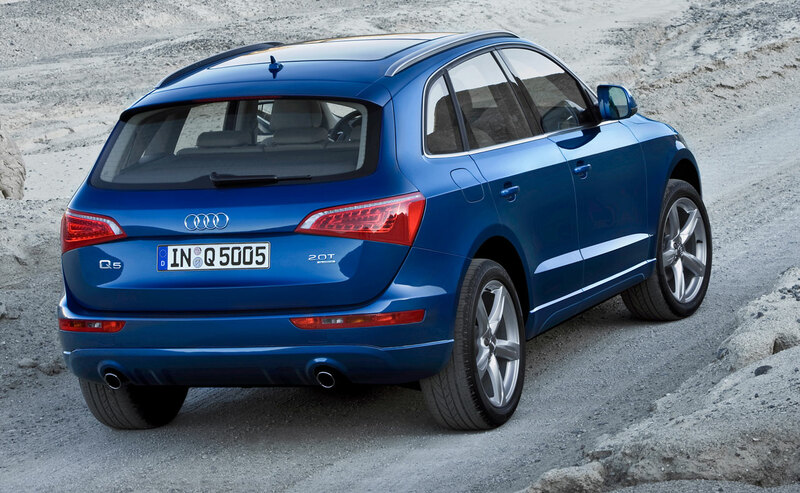 Both the 2.0 TFSI and the 3.0 TDI models are mated to a 7-speed S-Tronic DSG twin dry clutch gearbox. This is something new as previously the 2.0 TFSI engine was only available with the wet clutch 6-speed DSG. A standard feature is quattro permanent all-wheel drive which varies power delivery from 40:60 front-rear up to a maximum of 65 percent to the front axle or 85 percent to the rear axle depending on driving conditions. More photos of the Audi Q5 available after the jump. Previous Post: Perodua Nautica front and rear shots revealed!